Szealer.com offer high quality products and excellent service, so a lot of customers become our loyal customers after they first buy. Quick Shipping with Tracking, Easy and Safe Payment via PayPal. 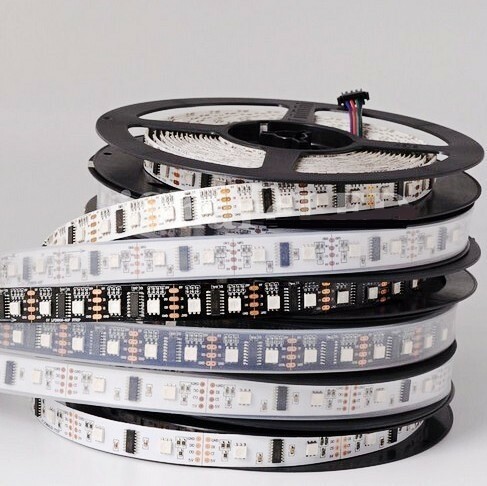 Our DC 5V LPD8806 LED strips are amazing and glowy, can display 2 million colors per pixel. There are 32 RGB LEDs per meter, and you can control each LED individually! You can set the color of each LED’s red, green and blue component with 7-bit PWM precision (so 21-bit color per pixel). The LEDs are controlled by shift-registers that are chained up down the strip so you can shorten or lengthen the strip. Only 2 digital output pins are required to send data down. The PWM is built into each chip so once you set the color you can stop talking to the strip and it will continue to PWM all the LEDs for you. Built in 1.2 MHz high speed 7-bit PWM for each channel – that means it can do 21-bit color per LED (way more than the eye can easily discern). Once you set the brightness level for the LEDs, your microcontroller can go off and do other things, no need to continuously update it, or clock it. The best part is that compared to the WS2801 which can only run one LED at a time, this chip can drive 2 RGB LEDs which means the price stays the same as the older HL1606 strip, nice! You can cut this stuff pretty easily with wire cutters, there are cut-lines every 2.5″/6.2cm (2 LEDs each). Solder to the 0.1″ copper pads and you’re good to go. Of course, you can also connect strips together to make them longer. IC quantity: 16 ICs per meter, 5 meters length, total 80 ICs. 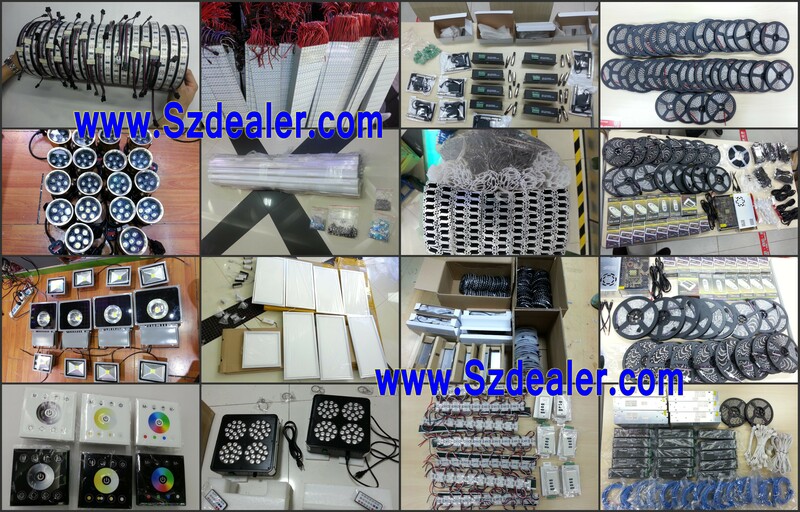 LED quantity: 32 LEDs per meter, 5 meters length, total 160 LEDs. Pixel quantity: 1 LED is 1 Pixel. 32 Pixel per meter, 5 meters length, total 160 Pixel. Dimension: L5000 x W12 x T2.5 mm The width of the Non-Wateproof Strip's PCB is 12MM; The width of the waterproof strip's PCB is 14mm. Power consumption: approx 10 watts per meter, 5 meters length, total is approx 50W. Our website is very easy to use, you would place order without register, the shipping fee is based on the weight of the products you ordered. You would easily choose the Shipping Method (UPS/DHL/Fedex/Economic shipping) when you check out, We will always offer the Online Tracking Number to you via Email. All the products will be packed well for every order, to make sure you will quickly receive all the products at great condition. We weekly supply hundreds of parcels to USA, UK, France, Germany, Italy, Switzerland, Spain, Canada, Sweden and other Europe countries, and we show you the following photos which we took right before we pack the parcels. 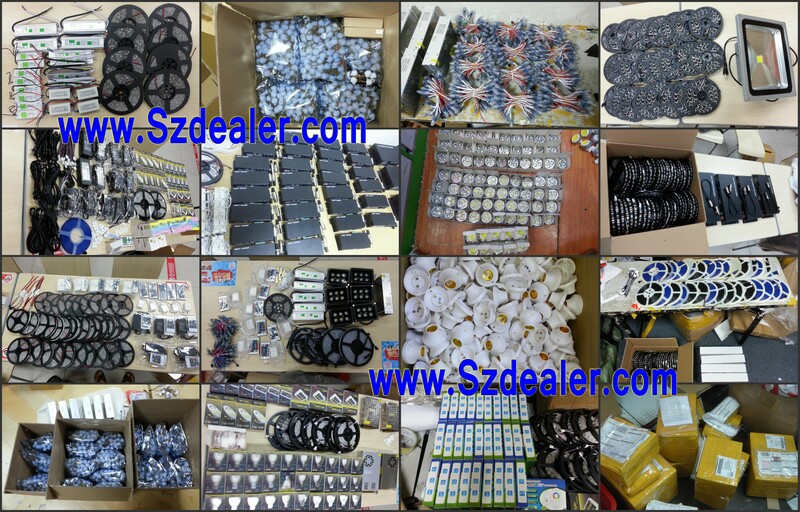 Pls Contact service@szdealer.com We will reply quickly and professionally.